The clock is ticking down to the end of your lease, and you’re not sure what your next steps are. Do you simply return the vehicle and pay the fees? What if you want to actually keep the vehicle? You may not have realized that there are actually multiple options you can consider, and that some choices may offer more advantages than others. For example, if you’ve exceeded the maximum mileage for your lease terms, you can purchase the vehicle outright and avoid paying any overage fees. Below you can check out all of the information we’ve provided to help you make the choice that’s most financially beneficial for you. the End of My Lease? After reviewing your options at Bob Richards® Chrysler Dodge Jeep Ram, you may choose to return your vehicle because it’s beneficial to your wallet. The only additional payments you may have to make involve any mileage you’ve accrued over your lease’s maximum terms, as well as any damages, but, only if this works for YOU. If you’ve grown fond of your vehicle over the term of your lease, you absolutely have the option to purchase it outright. This can be advantageous if the car has retained its value well. The only part you need to pay now is simply the part you have not paid yet! Life has a funny way of changing our vehicle needs so you may decide to get a different vehicle at any point during the lease term. If you choose to trade in your currently leased vehicle, the deal would then work just like a standard finance deal. 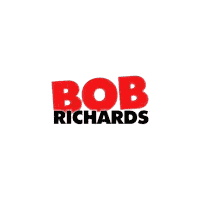 You would simply come to Bob Richards® Chrysler Dodge Jeep Ram to review your options. By doing this, your mileage will not be penalized by Chrysler Capital. If you’re interested in learning more about your options at the end of your lease, feel free to contact us directly or stop by our dealership at 1666 Jefferson Davis Highway, Graniteville, SC 29829. We look forward to serving our customers from Graniteville and Aiken, SC, and throughout Augusta, GA.